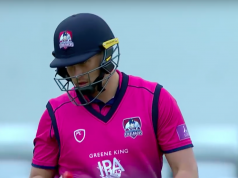 Having missed out on the Royal London One-Day Cup final despite finishing top of their group a few months ago, Somerset’s Peter Trego is keen to write the wrongs of seasons past. 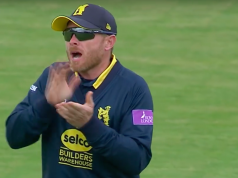 The Taunton outfit succumbed to eventual champions Warwickshire in the semi-final stage of the 50-over competition last term, a disappointing finish given the form they had shown in the earlier stages. 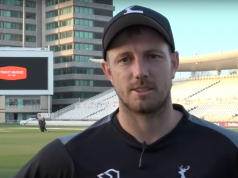 Trego and co have a quick chance of redemption however, facing 2016 finalists Surrey in their opener this Friday – eyeing up a first 50-over trophy since 2001. And with the squad they have at their disposal, the 35-year-old is confident his team can once again do damage in explosive fashion. “We’ve got a lot of youngsters that are really vying for that international recognition which is great, but when you play a domestic final you want the best players on show,” said Trego, speaking at the launch of the Royal London One-Day Cup. “The key to sport is peaking at the right time. You want to be able to hit that right form when it matters most and we’ve got a young crop that really want to impress, and want to cause people a headache. “We’ve strengthened the squad, players have improved and we’ve signed an impressive player in Steven Davies, so hopefully those things will help us go one better. Somerset and the remaining 17 counties are looking forward to a new schedule for the 2017 season. That will see the Royal London One-Day Cup final return to the height of summer in a block format, with the showcase Lord’s final on July 1. With the Champions Trophy also coming to the country, as well as England players being available in the RLODC opening stages, it promises to be an exciting competition all-round. And Trego is among those keen to get the adrenaline going, looking to build on experiences of summers past in his bid for a domestic trophy. He added: “Everything in county cricket right now sets it up to be an exciting summer. The County Championship looks so strong and we’ve got the T20 and RLODC competitions being played in a block so it should be a great summer of cricket. “I’ve played a couple of Lord’s finals that have been the very last game of the season which physically has its own challenges. You’ve just played a long, hard season and if you’re in the final you’ve had extra games, so there is a lot of cricket. “It’s nice to have a big special day where the likelihood is that you’ll have a big packed out house, a day of sunshine and everyone can have an excellent time.